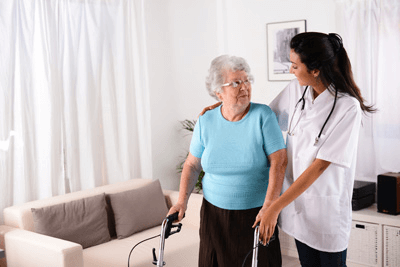 Transition Care (Hospital-to-Home Care) | Full Circle Home Care Inc. Transitional Care is necessary when a loved one is moving from one healthcare facility to another; or from a healthcare facility back to their home. This usually occurs after a hospital stay or the diagnosis and treatment of a chronic or acute illness. It can also mean the transition from a nursing home to an in-home care situation. Either way, there are special needs during transitional periods, or our Transitional Care Services are designed to make the transition from hospital or nursing home to in-home care as smooth and comfortable as possible. A high-quality transitional care program can help make the transition easier for the patient, and it can also reduce the likelihood of hospital readmission. At Full Circle Home Care, we make sure that our Transitional Care services are easy-to-understand and streamlined for each patient. At Full Circle Home Care, our top priority is making sure that your loved ones have an easy transition from the hospital to home, and we work hard to ensure that their level of care stays consistent so that they can recover and get back to normal as soon as possible. Contact us to find out how we can help your family create a smooth Transitional Care Plan.